Support the journey, free content published consistently! When I first started this website in 2013, I set out on the mission to help empower people to build the confidence they need to stop settling for less than they deserved. I also strove to help redefine the concept of what it means to be a gentleman in our modern era – as it has, of course, evolved over the years. Little has changed in my mission, and I continue to write and speak about these values every single day. Now, with this website having been read over 37 million times, and accumulating over 300,000 social media followers, it’s safe to say that I’ve had more than my share of conversations along the way that help mold my opinions. 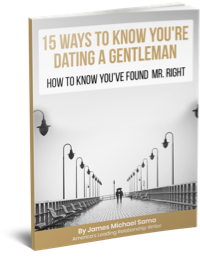 So I’ve decided to give you 10 lessons I’ve learned along the way about what (I believe) it means to be a real gentleman in the modern era. A real gentleman doesn’t always look how you’d expect. Sure, we’re always told not to judge a book by its cover – but how many of us actually practice that? I moved from Boston to Los Angeles a few months ago, and what I learned over the past few years of visiting LA, is that the ‘dress code’ is about as casual as it comes. Sure, you can go to upscale places and find impeccable men and beautifully tailored suits, but during the day-to-day, you’re likely seeing a lot of sneakers, jeans, and t-shirts. In a lot of cases, a suit or a blazer would make you look out of place. I used to push men to dress ‘better.’ To make sure they always had a blazer on for a date. To step their game up in general – but the clothes don’t make the man. The MAN makes the man, and how he chooses to treat those around him. A real gentleman stays true to his values. Many people think that being a ‘good guy’ means making sure everyone around you is happy – and in some cases, this is appropriate. But, what’s even more important than making others happy, is making sure you never sacrifice your own self-worth or dignity in the process. The truth is, you simply can’t make everyone happy. It doesn’t matter how kindhearted you are, how diplomatically you speak, or how accommodating you strive to be. It doesn’t matter if you’re the best tasting apple in the world, there’s always going to be someone who hates apples. What people really want, really desire, and really respect – is someone who stays true to his (or her) convictions* and doesn’t waiver. *Of course, as long as these convictions don’t hurt or harm others. A real gentleman treats everyone with respect. There are a lot of homeless people in Los Angeles. While I am not always in a position to help them financially, I do understand that they are human beings just like the rest of us – only, they often times feel invisible. I think that a lot of us feel invisible at times. In a world that is so focused on getting attention, it’s a bit ironic to consider how little of it we feel at times. Believe me, if you get 1,000 likes on your Instagram photo, but nobody in real life pays attention to you, you’re gonna feel like crap. A real gentleman will take the time out of his day to make sure that everyone he crosses paths with feels seen and respected, even if it just means trading a simple smile, nod, or hello. Nobody is above or below a man of quality – we are all equal. A real gentleman doesn’t have to be asked. He doesn’t have to be asked to take out the trash, or clean the dishes, or to carry that heavy thing. He does it, because he wants to contribute. He does it because he takes responsibility. He does it because he wants to make you feel valued and respected. He does it because he understands you work hard during the day, and you deserve a break when you get home at night. A real gentleman doesn’t concern himself with what’s in it for him, he is selfless in his actions, and understands this brings far more fulfillment and happiness than only looking out for himself. A real gentleman never stops putting in effort. Whether it is his relationship, his career, his entrepreneurial endeavors, his fitness, his self-education – he never stops putting in effort. He understands that the second you stop moving forward, you begin moving backwards. The world doesn’t stop turning, and if you allow yourself to falter or come off of the throttle, you’re going to miss out on progress and opportunities that bring value to your life, and the lives of those around you. Nobody is perfect, and we cannot be “on” all the time, but small steps are better than no steps at all. A real gentleman doesn’t let the world steal his shine. Life is difficult. Times get hard. We face challenges, losses, failures, shortcomings. We get defeated. We want to quit. We wonder why we are doing what we are doing. But – we keep going. A gentleman will never let the world stop him from being the person he has decided to become. Feeling unappreciated will not stop him from being kind. Facing failure will not stop him from chasing success. Being heartbroken will not prevent him from loving again. A gentleman is who he is because that’s who he’s decided to be. Permission from the world is not necessary. A real gentleman empowers those around him. In a society that is seemingly becoming more and more self-centered, a gentleman understands that it is important to lift up those who are around him. He lives his life in a way that inspires others to do and be better. He encourages you – he doesn’t criticize you. He believes in you – he doesn’t doubt you. He acknowledges you – he doesn’t ignore you. He loves you – he has no need or reason to tear you down. A real gentleman protects those he loves. Family, friends, significant others. A gentleman will do whatever it takes to make everyone around him feel safe – not just physically, but emotionally. He will make you feel safe expressing yourself, opening up to him, being real and genuine with yourself. He will live his life in a way that brings the best interest of those he cares about, to the forefront. He will not put you in harm’s way, or tolerate anyone who does. He will speak with you about difficult topics, he will shine the light of his experience on your path to guide your way. He will lend you his strength to ease your pain. A real gentleman shows emotion. Never would I advocate for any grown man or woman to break down in tears every time an emotional Kleenex commercial comes on TV, but it is important for us to all be in touch with who we are as emotional human animals. Past generations made men feel lesser for expressing themselves – and what happened? We saw men who vilified feminine qualities, who had a ‘machismo’ viewpoint on strength, and associated it directly with force. We saw lack of communication, connection, and contribution to society and those around us. We are evolving as men and are understanding that we can be strong and sturdy – but also connected with our human reality. I would argue it actually shows more strength to be open about your feelings, than it does to push them down, pretend they don’t exist, and face the consequences later. A real gentleman never forgets those who help him. As much as we all like to think we “did it ourselves,” the reality is that we all need some help along the way. We need someone to give us a chance. To buy our product. To use our service. To hire us for that job. To give us a second chance. It doesn’t matter if you’re an entrepreneur, a life-long employee, a trust fund baby, or a janitor. Someone gave you the opportunity to prove yourself in some way. A real gentleman will never forget those who helped him along the way, and never fail to show his appreciation. If you enjoyed this, please leave a comment below and share it with your friends. This is a conversation we need to be having. Want direct help from me to create the life you deserve? I frequently coach busy professionals who want a more fulfilling love life. 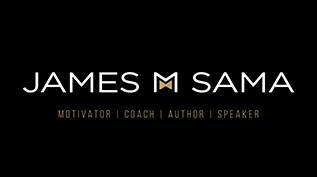 If you are looking to work with an experienced relationship coach who has helped hundreds of busy professionals find the love life they deserve, Click here to book a call on my calendar. Want My Best Strategies for Attracting and Keeping Mr. Right? 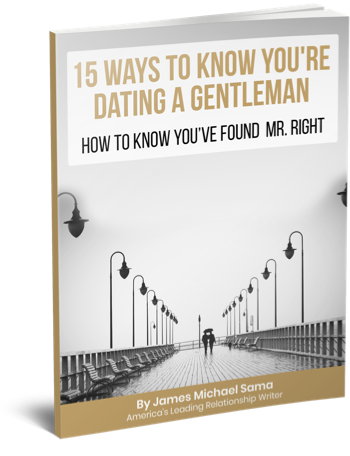 Click here to learn the 5 keys to increasing your chances of finding Mr. Right. Click here to get my book: Unlocking Love: 10 Keys to Finding The Love of Your Life (Even If It’s You). JMS. You are a centering force in my continued appreciation and love of life. Thank you for your posts, they continue to provide a landscape for me at the youthful age of 63. When will we ever learn that the way to inner peace, robust love and personal success lies within. Being a gentleman is one foundation to realize this… thanks again PLQ. Perry – can’t thank you enough for your ongoing support and insight. 63 is just getting started in life, thanks for being a positive force in the world. Awesome article on THE topic dear to my Living. Were it that more “boys” could read this on the trek toward Manhood…. For someone who would LOVE to have a gentlemen (like this) in my life, where do I find him?